The Environmental Monitor is a journal covering products, projects and trends in the environmental monitoring industry. Published by Fondriest Environmental, the print and online versions of the Environmental Monitor aim to help professionals stay informed about developments in their industry. 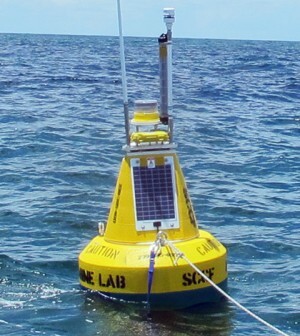 In this article SCCF Marine Lab Director Eric Milbrandt and Research Assistant AJ Martignette discuss the new RECON wave buoy.